CHARLOTTE, N.C. - Duke Energy Renewables, a commercial business unit of Duke Energy, today announced it has reached a settlement agreement with the U.S. Department of Justice (DOJ) regarding the deaths of golden eagles and other migratory birds at two of Duke Energy's wind generation sites in Wyoming. The DOJ brought misdemeanor charges under the Migratory Bird Treaty Act (MBTA) for 14 golden eagle mortalities within the past three years at Duke Energy's Top of the World Windpower Project and Campbell Hill Windpower Project near Casper, Wyo. Golden eagles are not listed as threatened or endangered under U.S. law. However, they are protected under the MBTA. Federal fines and restitution of $1 million will be levied against Duke Energy Renewables. 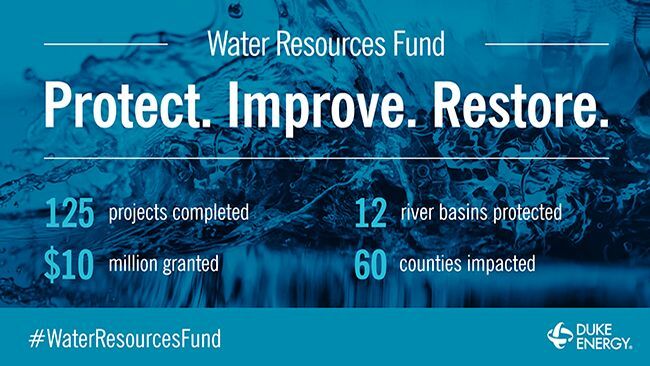 These funds will be dispersed to the North American Wetlands Conservation Fund, the Wyoming Game & Fish Department, the National Fish and Wildlife Foundation and The Conservation Fund. "Our goal is to provide the benefits of wind energy in the most environmentally responsible way possible," said Greg Wolf, president of Duke Energy Renewables. "We deeply regret the impacts to golden eagles at two of our wind facilities. We have always self reported all incidents, and from the time we discovered the first fatality, we've been working closely with the Fish and Wildlife Service to take proactive steps to correct the problem."
Continuing to voluntarily report to the U.S. Fish and Wildlife Service (USFWS) all eagle and migratory bird mortalities and meeting with the agency regularly to discuss adaptive management measures to reduce avian mortality. "Top of the World and Campbell Hill were some of the first wind sites we brought into service, during a period when our company's and the wind industry's understanding of eagle impacts at wind farms was still evolving," said Tim Hayes, environmental development director at Duke Energy Renewables. "The development of these sites from 2007 to 2009 was before the release of the USFWS wind energy guidelines or its eagle conservation plan guidance." "Our voluntary monitoring and curtailment of turbines have been effective. Upon implementing these measures, more than a year passed without any known golden eagle fatalities at these sites. We remain committed to continuing our work in cooperation with the USFWS to implement appropriate site-specific measures to minimize and mitigate any avian impacts," said Hayes. 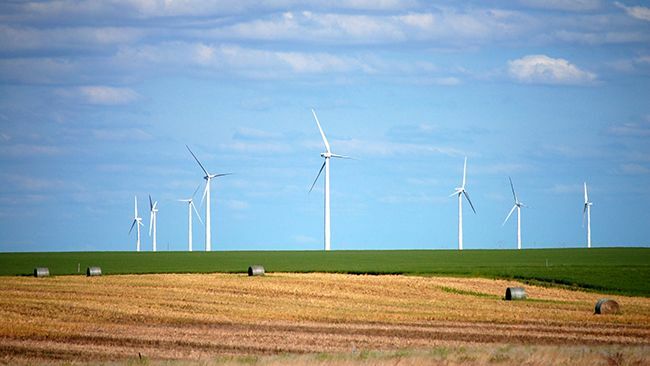 Duke Energy Renewables also has committed to further evaluate potential avian deterrents and to implement conservation measures designed to minimize the risk of any future avian mortalities from its Wyoming wind operations. "We will continue our approach to proactively safeguard wildlife resources," Wolf said. "Over the coming months, the company will be working closely with the USFWS on a Migratory Bird Compliance Plan and an Eagle Conservation Plan that allow us to continue to operate our wind facilities while protecting avian populations."
Duke Energy Renewables, part of Duke Energy's Commercial Businesses, is a leader in developing innovative wind and solar energy generation projects for customers throughout the United States. The company's growing portfolio of commercial renewable assets includes 15 wind farms and 17 solar farms in operation in 12 states, totaling more than 1,750 megawatts in electric-generating capacity. Learn more at www.duke-energy.com/renewables.